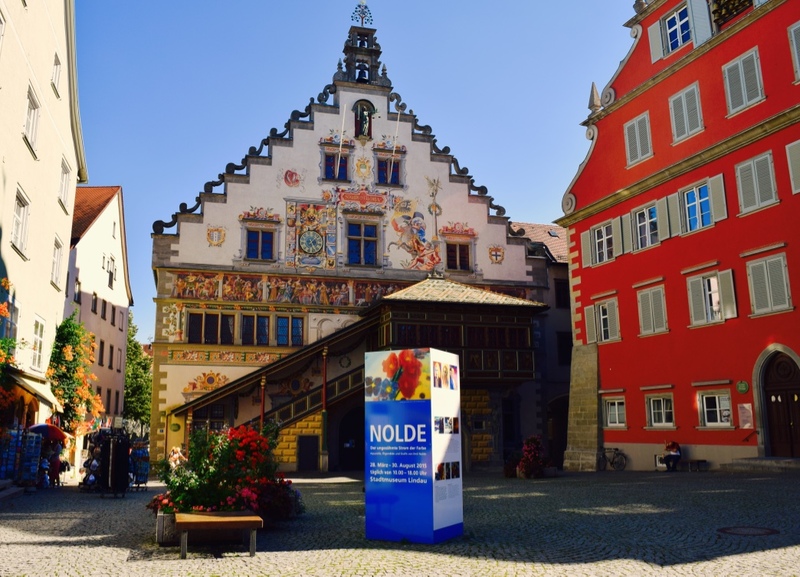 I attended this exhibition on Nolde, as you can see it was in a magical setting. 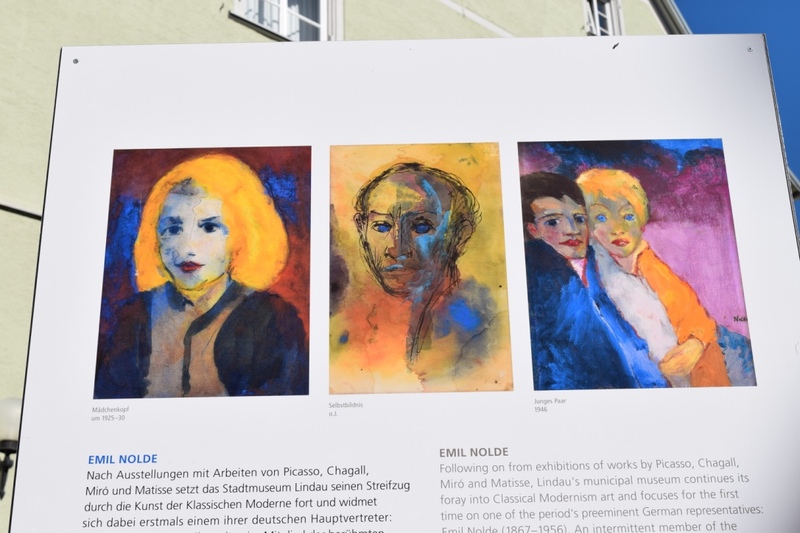 As I meandered around the quaint streets of Lindau, 2 hours south of Munich; I stumbled across an art exhibition. I love to see as much art as possible when I travel, so I made my way inside to the exhibition. Now what Nolde taught me, is you do not have to be an awesome artist to exhibit. No offence Nolde, but I found your art work very basic. I was not immediately enthralled; but I will be honest, his impressions lingered in my mind. His use of colour was excellent, although his designs were simplistic and almost child like. He captured human emotions well, in a simple but effective way, conveying emotion and mood. Overall I really enjoyed his exhibition, and soon after felt compelled to write about. So it must have been good right? Like most famous artists, he made his notoriety posthumously. Which must be so annoying for an artist. I wonder if they realise how famous they have become in the spirit world? And who collects their hard earned profits? And all that well deserved glory? Nolde taught me a lot on this day, as I looked admiringly and with some surprise; I learned that all art is good art. All art is a form of self expression. So even if you think you are not a good artist, it really does not matter. Just do it anyway. We all can talk ourselves out of pursuing our creative calling, because we think we are not good enough, it looks like crap, or people will not like it; or other similar derogative thought. I think this is pointless thinking, as all creativity is good and an excellent form of self expression. And frankly who cares what other people think anyway? If you love what you do, and it is not hurting anyone, then bloody well go and do it! Do it immediately! So next time you have an urge to be creative, do it, feel it, express it, in whatever form you choose, paint, pencil, photo, or drawing. The important thing is to be creative and express yourself. Be like Nolde, he didn’t care what people thought, he did what he loved, and died doing what he loved. Good on you Nolde! Now the whole nazi bit, apparently he fully supported the Nazi party and their ideals, not so cool, even though his art never showed his political motivations. For some reason, I can not remember why, he was banished from the art world, and all his paintings were confiscated, and he was banned from being creative. Could you imagine? That must have been horrible! It was only later in life when he was able to be a creative artist again, and he sure did make up for it! He painted many images, mostly watercolour, drawings and paintings. I liked his use of colour and he expressed personality in his human drawings very well too. What do you think of Nolde? It’s okay, we can talk about him now, he died in 1956. Ages ago! I was very impressed to see his paintings have been so well preserved, good job Germany. And one more thing, go paint that painting you have been dying to do. Or drawing, or any other form of creative expression. Do it because you love it, and don’t worry if it’s any good, express yourself! What have you been dying to create, that your devil ego won’t let you? I loved this post. I am a strong believer of doing what you love to do regardless of whether you think you’re good or not, hobby or career….if something makes you happy don’t let the haters get you down. Thank you for writing this. You are very welcome! Glad you like it! X Thanks! ← Part 3: Brussels with Lena, my Dancing Buddy.